My name is Nicholas Panes and this website is primarily a place to bring together all aspects of my interest in antique ceramics (both British and Chinese) and ceramic history, subjects which I enjoy and which I hope others will too. Most of my English ceramics collection is for sale on the site and the menu will take you to some of my ceramic publications, research and available lectures. I hope to gradually expand this website to cover a number of ceramic topics. I started collecting antique English ceramics in 1990 after attending a series of evening classes. My main interest has been porcelain, initially Regency period but subsequently concentrating on the 18th century wares. I soon became interested in sauceboats because of the variety of shapes and decoration produced by 18th century porcelain factories and I published my sauceboat book in 2009 which covers all factories and is an identification guide. 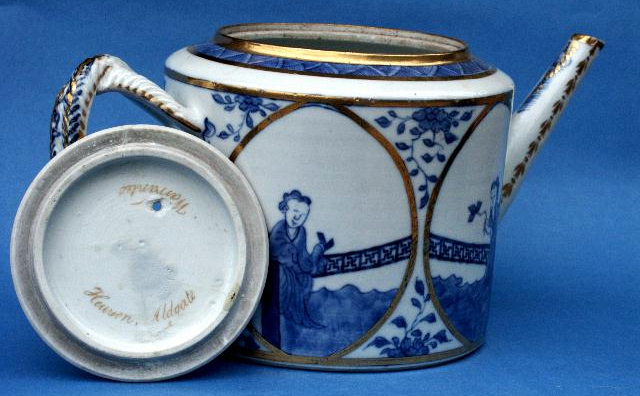 In 2011 my collecting interest turned towards Chinese blue and white porcelain from 1735 and earlier. However I still research English ceramics and plan to continue to lecture and publish on topics associated with English wares. Since 2013 I have been slowly selling my English collection which you can find in the menu above. I have served on the committee of the London Ceramic Circle at Morley College and as treasurer of the English Ceramic Circle where I was a Trustee for 10 years (and formerly webmaster). I have also been treasurer of Nonsuch Ceramic Circle in Surrey. I continue to support a number of ceramic societies. My new book, a short biography of the potter Richard Champion illustrating fine Bristol porcelains (see the books page) was launched in March 2016. I lecture quite often on ceramic topics and a selection of my lectures can be seen by clicking the link on the menu. Other than my books, I have also written a number of papers on ceramic topics which have been published by the English Ceramic Circle and the Northern Ceramic Society. These are available for download by clicking the “Papers” menu link above. A Bow porcelain sauceboat, c 1750, the shape based on silver sauceboats with rococo moulded swags and scroll handle. See my book for sale on this site “British Porcelain Sauceboats of the 18th Century” – the standard identification guide. A late 18th C Chinese teapot gilded in London, the lid gilded with Hewson, Aldgate Warranted. Hewson was a china dealer at 86 Aldgate from the 1770s until at least 1799 and he left his shop to his servant James Coombes who continued until at least 1816. Hewson was a prominent member of the China Club. See my papers on this site “the Theft of China” and “the China Club Revisited”. The teapot, now in my collection, was formerly in the collection of the late Geoffrey Godden.